A premium washed chef jogger pants, well woven and moderately thick. and use cold water when wash the pants. please fasten all the buttons and turn the pants inside out before using the washing machine. 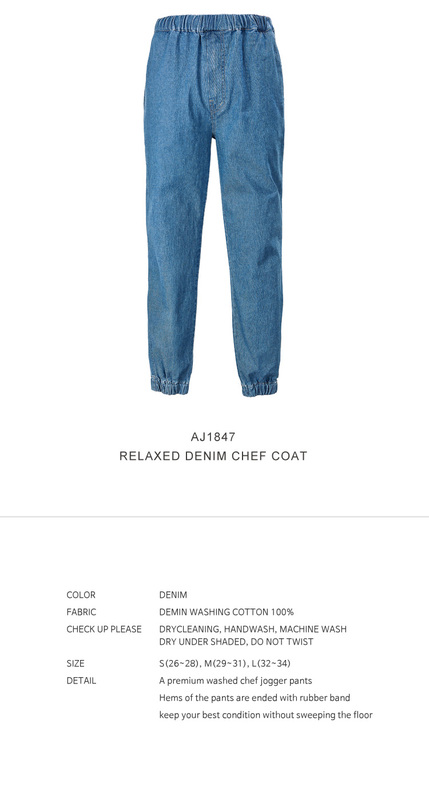 A premium chef pants made of washed denim fabric where a beautiful vintage washed color is given. Rubber band is put in there for a comfortable fit. Enough space for front and back pocket. Rubber band in hems keeps you in best condition.